• Allow users to simply add wires and snap in place. • Latch Duct Channel living hinge encloses wires and snaps shut. • Wiremaster Channels traditional open J channel in multiple sizes. • Channels available with double-sided installation tape. 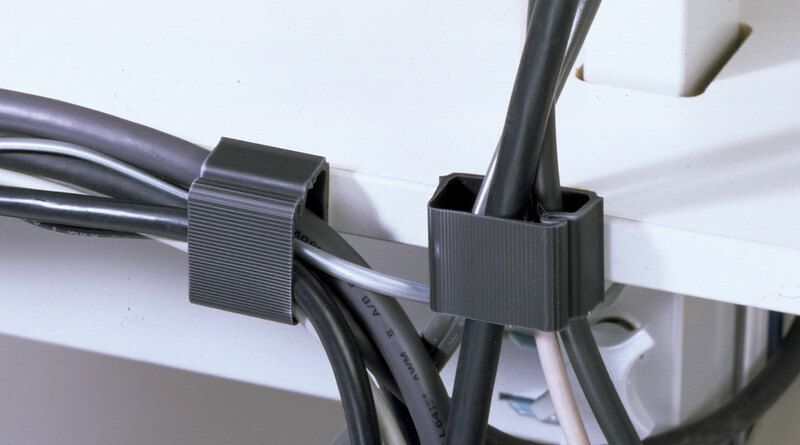 • Clip allows use of smaller lengths in different configurations to keep wires hidden.